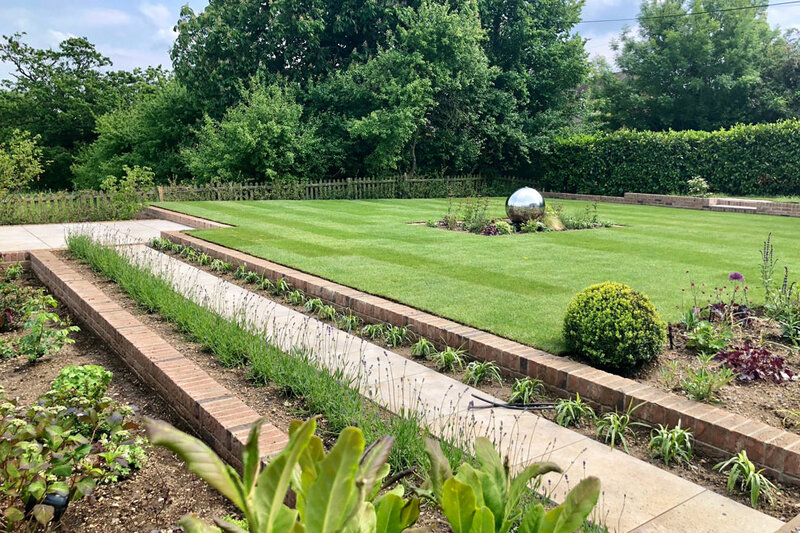 This garden was designed, built and planted for a large, new build, contemporary house. 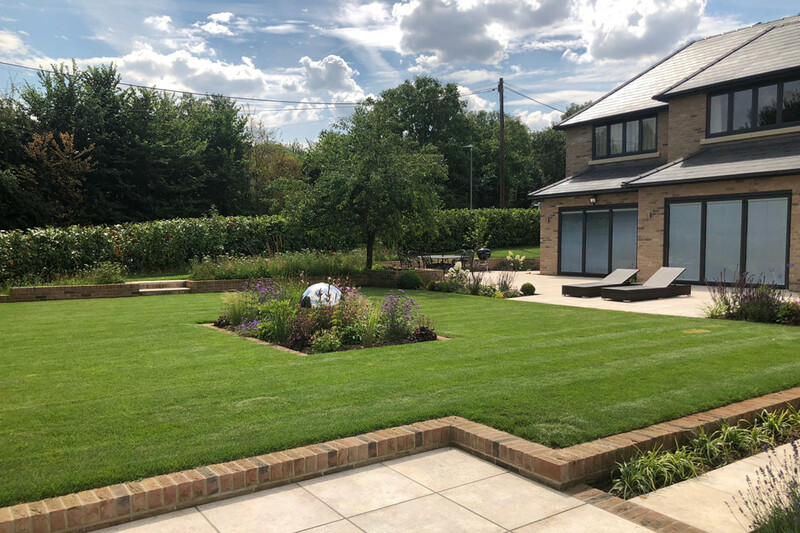 The clients wanted something simple and ‘clean’ looking to match the interior of the house, but with soft planting, as the garden backs onto a large field. We were asked to design a Willow tree into the garden space to match the house name! 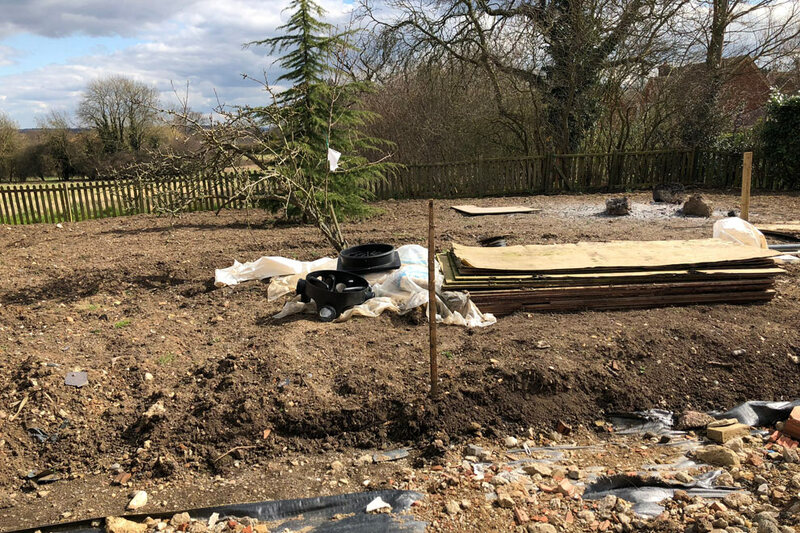 Sloping from one side to the other, low retaining walls manage the slope, the left hand ones of which house a path leading to a smaller patio at the bottom of the garden. This is just awaiting furniture. 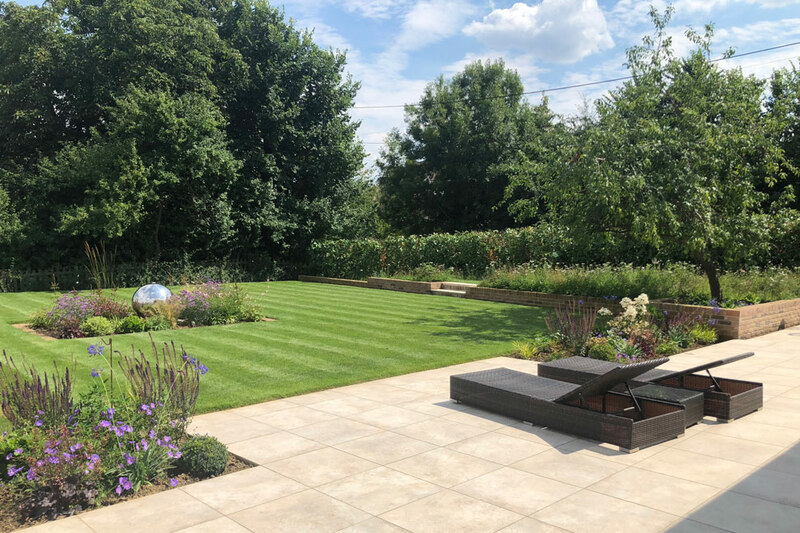 The large porcelain patio allows enough space for a dining table, sunbeds and a large relaxed sofa area, again which still needs to be purchased. A large stainless steel ball water feature is positioned in the middle of the garden reflecting light and adding a focus. 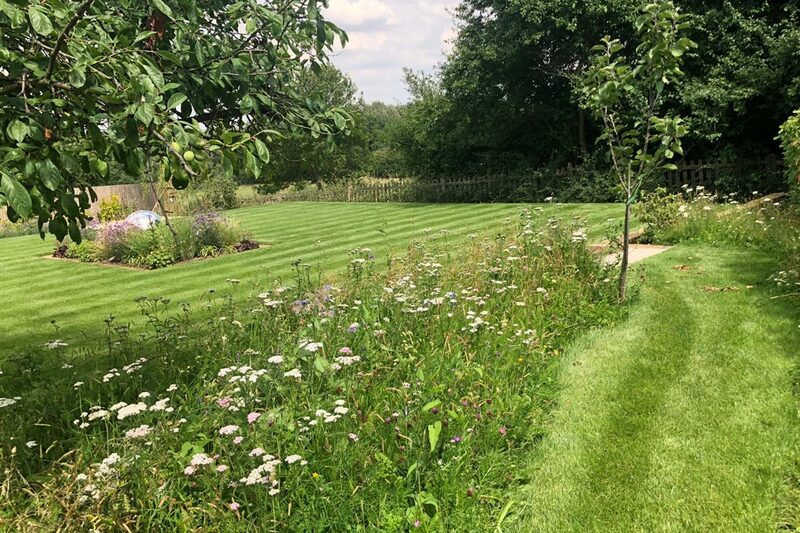 On the top level, the client was very keen to have some wildflowers and so we laid wildflower turf with a grass path running through from the steps. 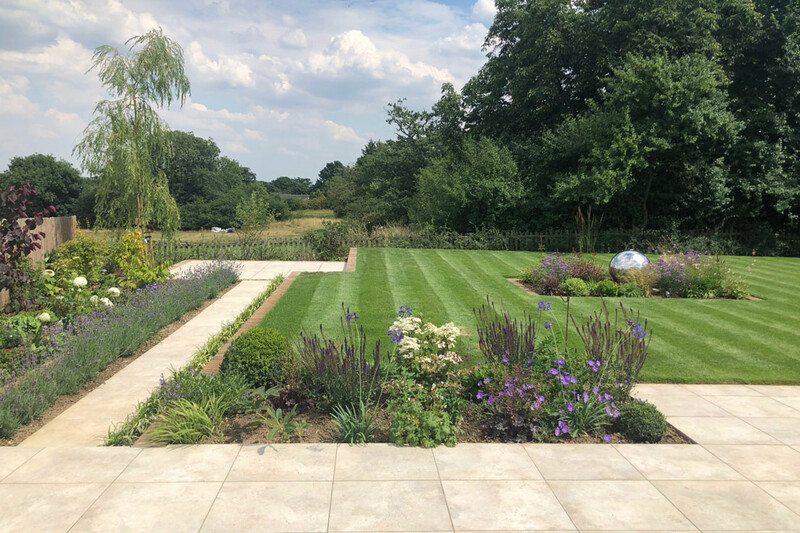 The overall effect is one of contemporary simplicity, clean lines and soft planting with year round interest. The clients are delighted as are we.